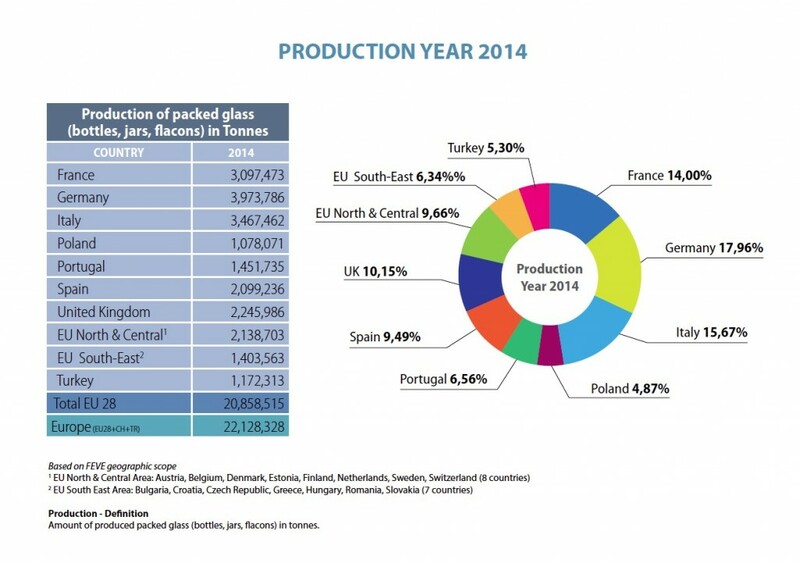 Last year, a solid growth was recorded for the European container glass industry. 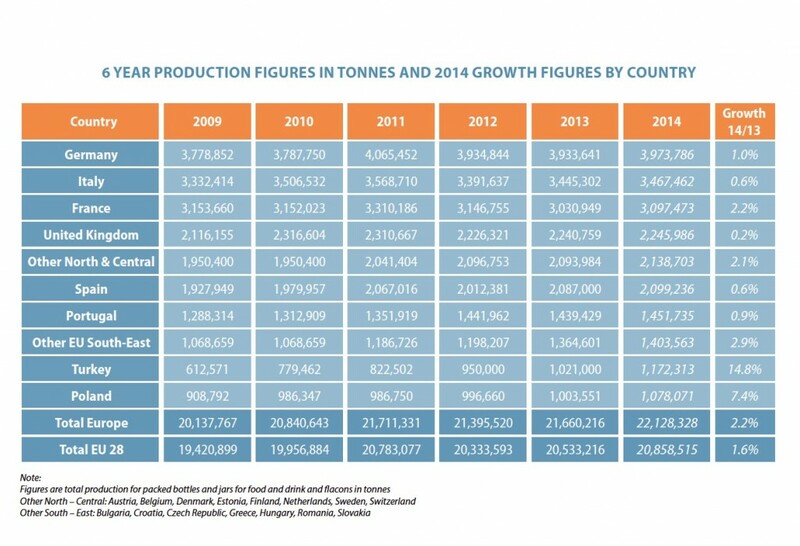 In the EU28, production volume increased by 1.6% according to FEVE 2014 data published today (1). 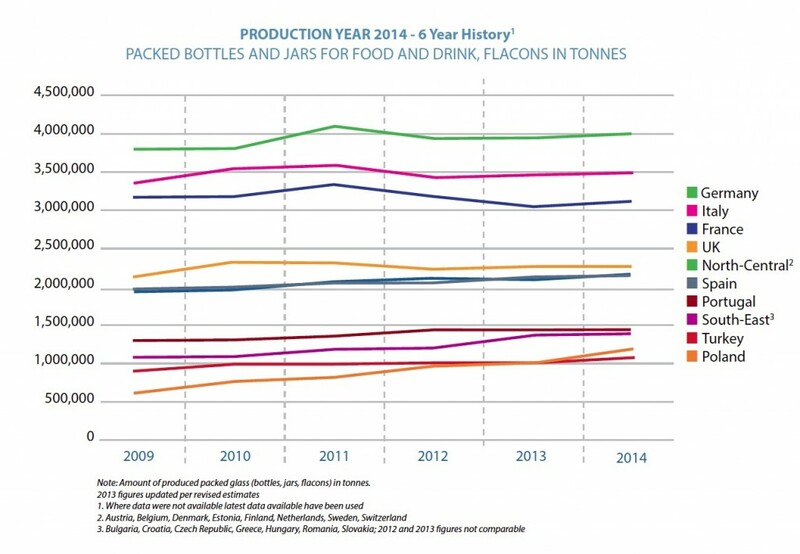 More than 22 million tons or some 50 billion glass containers were sold to customers inside and outside EU markets. All EU countries recorded positive growth although at different paces. Poland posted a 7.4% increase – the highest in the EU region. Growth in the South-East area (2.9%), North-Central area (2.1%) and France (2.2%) were also above the EU average. Outside the EU zone, Turkey recorded a striking 14.8% growth compared to the previous year. Data refer to container glass for food and drink as well as to flacons for perfumery, cosmetics and pharmaceutical sectors. These data confirm a stable trend of the previous years. “These figures are even more remarkable when we consider the EU consumption shrinking and deflation risk in most of EU countries” comments Vitaliano Torno – President of FEVE. “Glass packaging remains the preferred choice for customers who want to add value to their product, to communicate its quality and safety to consumers”.